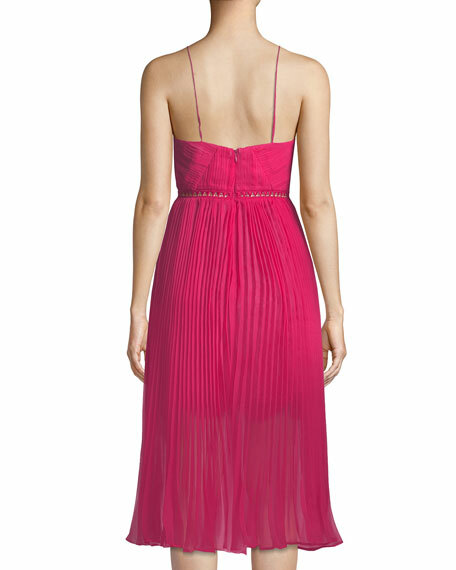 Self-Portrait cocktail dress in pleated chiffon. Front split hem reveals lace skirt underlay. For in-store inquiries, use sku #2605869.